2019 is already off to a promising musical start. 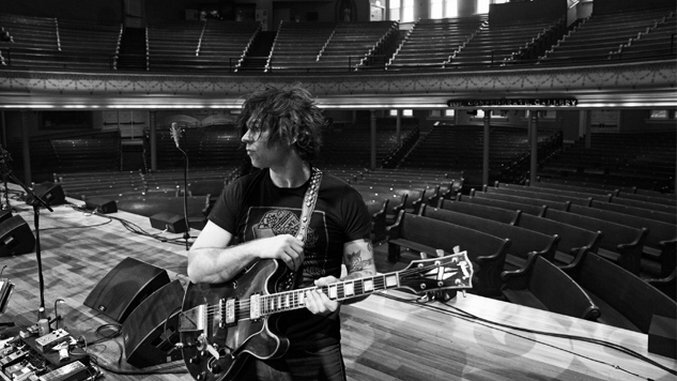 Ryan Adams hinted Monday that he will release three albums this year in a tweet that also included a photo from a recording studio. The last year Adams accomplished this incredible artistic feat was 2005. Adams released his first two albums of that year with backing band The Cardinals in May (Cold Roses) and September (Jacksonville City Nights), closing out with his acclaimed album 29 in December. Adams also shared the title and album art for his first record of the year, Big Colors, along with a clip of him and fellow artists singing that “the brightest colors always rising to the top.” This sounds like the perfect uplifting content to start us off this year. Color us pleased. Adams’ last album, Prisoner, was released in 2017. Listen to an Adams performance from the Paste archives below.